Bundled with Japanese Culture like Anime J-Music. Soooo sorry to everyone who waited for so long. It's Chinese New Year and I'm so busy, so have to pause everything. Besides, I need a lot of time to prepare all the information and notes about each and every anime, characters and games that I've gone through before. I check out sites like Wikipedia (details), Dannychoo.com (pictures and anime titles), youtube.com (videos of course), anime and games official websites for character names that I'm not sure. Correction: It's worth to wait!!! Yep, it a grand avenue and grand event. 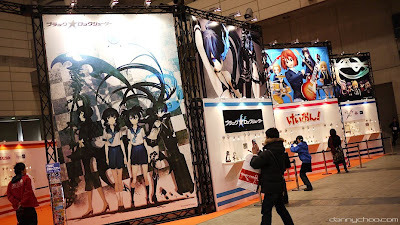 Wonder Festival, Wonfes, have been active for 11 years since 1999. Let's have some entrée before we enter the main course...hehe... Yummmy. 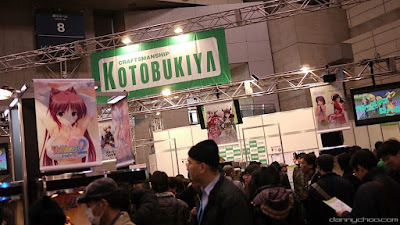 All pictures are brought to you by Danny Choo. What's about Axis Powers Hetalia??? ちんか (Chinka) - A new anime!!! Serve you right~!!! K-On! thieves!!! けいおん！！第二期 (K-On!! Season 2) OP & ED confirmed!! AFA X coverage coming up~!! !